The fabulous furniture company, Fermob encapsulates itself in two words, Outdoor Lounge. 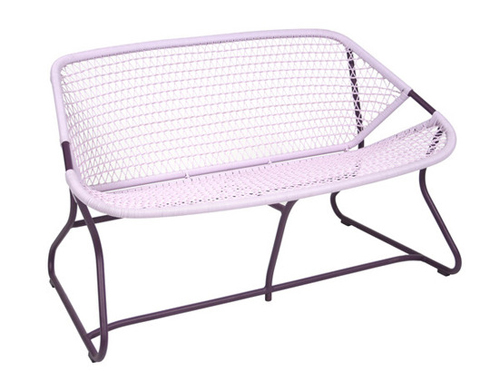 They make high quality, thoughtfully designed patio pieces for those who like to kick back and enjoy the breeze. The parent company is located outside Lyon, France but in the USA, the sole distributor can be found in Dawsonville, Georgia. I'm really liking their Sixties Collection, which includes this incredible armchair available in four color combinations. Vibrant color is certainly one of Fermob's trademarks. 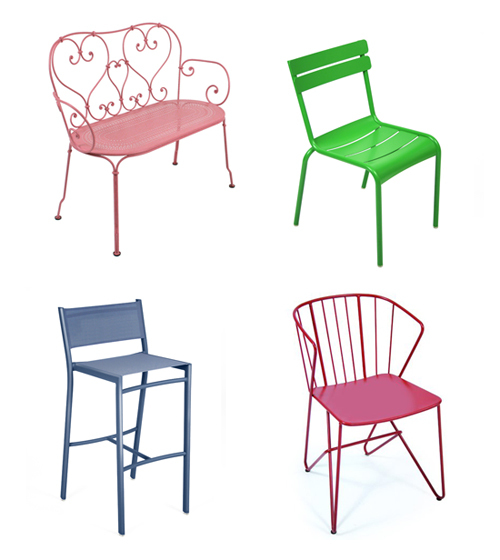 Inspired by the garden, the creators of Fermob seek colors and styles that will not only enhance your outdoor living space, but endure over time. Good design takes into account every detail, from materials to color, style and texture. As they state on their site, "Many properties of color such as radiance, softness, intensity and richness- are also influenced by texture. To obtain just the right shade, Fermob offers a range of finishes: smooth, textured, glittery, mat, semi-mat and more." I wouldn't have thought to put these two colors together like this but it works beautifully. Purposefully mismatched...I like it. 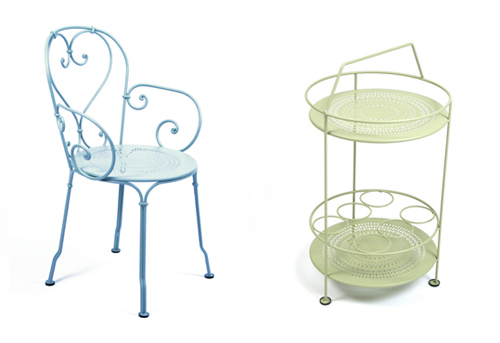 See all of Fermob's fabulous goods here, which include chairs, lounges, benches, tables and bar carts.